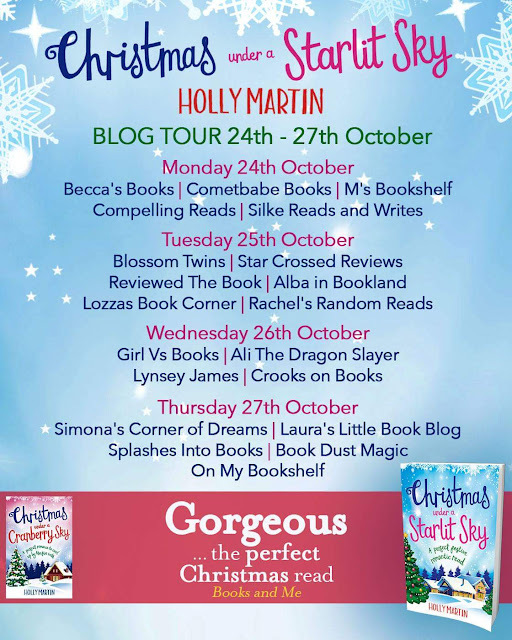 I am delighted today to be on the second part of the blog tour for Holly Martin's Christmas Under a Starlit Sky. Christmas is getting ever closer now- eek! So start getting your Christmas reads on! 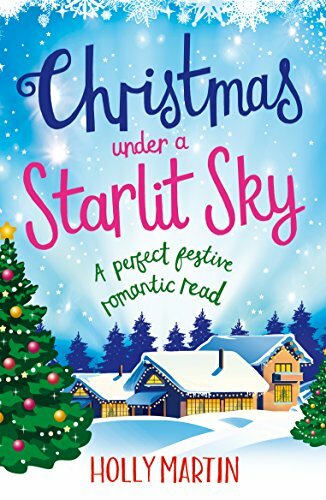 Christmas Under a Starlit Sky is book two in the duology A Town Called Christmas and whereas the first book Christmas Under a Cranberry Sky focused on Gabe and Pip's story, we get to know more about what is going on with Neve and a couple of other side characters. 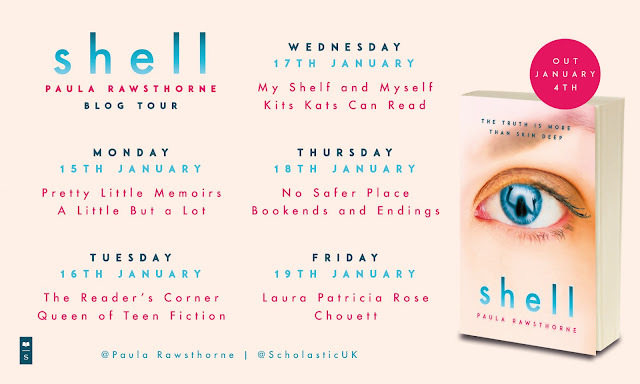 Book One left us with a brilliant cliffhanger that had me eager to read book two to find out more about Neve's story and I was far from disappointed. 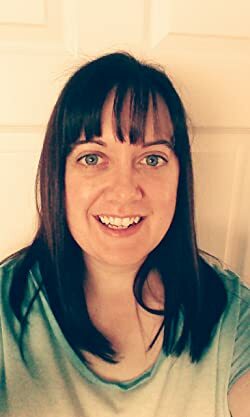 Neve is manager of the gorgeous Stardust Lake hotel and while everyone else has been able to get into the Christmas spirit, Neve's heart is very heavy and it's thought to do with finishing with superstar actor Oakley Ray. She convinced herself that she holding him back from his career, but now Oakley has surprised her by coming to Juniper island to win her back. The question is will he still want her when she tells him her secret? Although I adored Christmas Under a Cranberry Sky, Christmas Under a Starlit Sky just kept my interest that little bit more. There seemed to be so much going on and it wasn't just focused on Neve and Oakley's story, but a couple of other side characters too, so it really kept the pace of the story going. My god there is a lot of heartache in this! I felt desperately sorry for Neve, there is so much drama to behold and just when you think things might be ok, wham something else happens! 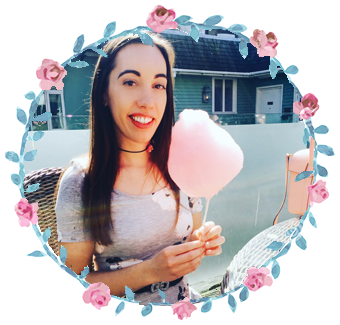 But it's not all heartache, there are also some truly heartwarming moments, but I won't give those away, you will have to read for yourself. As Shakespeare once said and specifically in A Midsummer's Nights Dream, "The course of true love never did run smooth" and I really do think there was never a truer statement and it is greatly reflected in Holly's book, it is just finding out if Neve and Oakley can reconcile, which I so desperately wanted to happen. 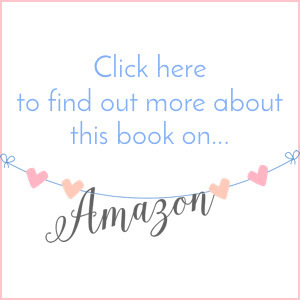 Another brilliant book from Holly, this time with even more added drama and steamy scenes and of course still with that wonderful festive vibe.